Did someone you love suffer elder abuse or neglect at Care One at Weymouth? Our lawyers can help. Abuse of the elderly is not acceptable and we fight hard in these types of cases. If you suspect Care One at Weymouth or caregiver has caused harm to your loved one in someone elses’ care, contact our law firm today for a free legal consultation. 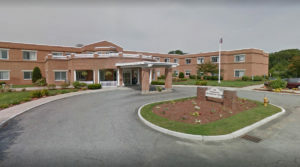 Care One at Weymouth is a for profit, 154-bed Medicare/Medicaid certified skilled nursing facility that provides services to the residents of Weymouth, Hingham, Braintree, Quincy, and the other towns in and surrounding Norfolk County, Massachusetts. Care One at Weymouth focuses on 24 hour care, respite care, hospice care and rehabilitation services. The Centers for Medicare and Medicaid (CMS) rates all nursing homes that accept medicare or medicaid benefits. CMS created a 5 Star Quality Rating System—1 star is the lowest rating and 5 stars is the highest—that look at three areas. As of 2017, Care One in Weymouthin, Massachusetts received a rating of 4 out of 5 stars. Based on interviews and record review the facility staff failed to notify the physician of a change in condition for one Resident (#9) out of a total sample of 24 Residents. Resident #9 was a long term care resident admitted in 9/1998 with a [DIAGNOSES REDACTED]. Review of the Minimum Data Set (MDS) revealed Resident #9 was alert and oriented with a Brief Interview of Mental Status score of 15 out of 15, was dependent of two staff for transfers, hygiene, bathing and dressing and was independent in locomotion off the unit in a power wheelchair. Record review on 9/12/16 revealed that on 7/06/16 Resident #9 was in the dining room with a visitor using a power wheel chair when he/she struck the wall with his/her right foot around 1:00 P.M. A review of the facility incident report revealed Resident #9 did not notify the nurse at the time of the incident. At 7:00 P.M. the Certified Nursing Assistant (CNA) noticed swelling and bruising on the right lower extremity and notified the Nurse (#1). Nurse #1 documented the incident on a facility incident/accident report and completed a progress note indicating the resident had a large bruise. On 7/08/16 Resident #9 was seen by a wound doctor who drained a 10 cmx 10cm blister on the right shin. On 7/08/16 an x-ray was ordered and the results showed a [MEDICAL CONDITION] tibia. Resident #9 was interviewed on 9/12/16 at 10:20 A.M. Resident #9 relayed the events of the incident as follows: on 7/06/16 he/she was in the dining room with a visitor when he/she pushed the forward controller on the power wheel chair which propelled forward to get his/her right foot stuck between the wall and trash barrel. Resident #9 stated he/she did not report this to the nurse because there was no feeling of pain related to the [DIAGNOSES REDACTED]. The Resident stated when going to bed it was swollen and bruised, the CNA reported this to the nurse. Resident #9 stated that on 7/06/16 Nurse #1 moved and flexed the right foot. He/She stated on 7/07/16, during the day shift, Nurse #2 also saw the bruise and swelling and cut the right sock. Resident #9 stated on the evening shift of 7/07/16 Nurse #1 again moved and flexed the right foot. Resident #9 stated while at the hair dresser on 7/08/16 he/she saw a large blister and bruise on the right shin and the hair dresser requested the resident notify the nurse immediately. Resident #9 stated he/she went straight to the Nurse Practitioner (NP) who informed the resident she was unaware the resident had an injury and ordered an x-ray. Resident #9 stated the staff had not notified the doctor on 7/06/16 or 7/07/16. The Administrator and Assistant Director of Nursing (ADON) were interviewed on 9/12/16 at 1:45 P.M. The Administrator stated he was informed of the event and fracture on 7/08/16 and began an investigation into the events of the accident. The ADON stated she was provided with the Incident/Accident report on 7/07/16, had signed the report and was under the impression that the physician was notified. The ADON stated the facility policy is to complete the incident report to identify cause, pain, history, notify the physician and family (if necessary) and update the care plan. The ADON stated she saw the incident report on 7/07/16, she updated the care plan and left it to the nurse to assess the resident. Nurse #2 was interviewed on 9/12/16 at 2:30 P.M. Nurse #2 stated she did not notify the physician when she saw the bruise on the leg of Resident #9 on 7/07/16. Nurse #2 stated the skin looked shiny there was a small bruise, no swelling and she thought it was just a bruise. Nurse #2 can not recall why she would have cut the sock of Resident #9 for a bruise. Record review of the progress note written by Nurse #2 for the date of 7/07/16 indicated Resident #9 had a small raised fluid filled area developing, a bruise and redness. The progress note indicated Nurse #2 wanted to cut the residents sock to prevent additional injury from pressure to the blister. During the interview, Nurse #2 stated that verbal reports were given to oncoming nurses, the resident denied pain, and on her shift there were no new orders to assess the right leg. Review of the medical record indicate there were no new orders obtained on 7/06/16 or 7/07/16 to assess the bruise, blister or swelling. The Physician of Resident #9 was interviewed on 09/13/16 at 2:45 P.M. The Physician stated he was on vacation during the week of the incident. Covering for him were two Nurse Practitioners who check the voicemail every 4 hours. The Physician stated he had previously spoken with the NP’s and determined there were no voicemail’s left regarding a change in condition for Resident #9 on 07/06/16 or 07/07/16. The physician stated he also checked the tracking log for his on-call coverage, who were covering urgent issues, there was no documentation of a call regarding Resident #9 on 07/06/16 or 07/07/16. The Physician stated he was aware upon his return that there was a delay in treatment because the physician was not notified of the incident and had discussed this with the Administrator. Based on observation and interview, the Facility failed to ensure that proper infection control practice was maintained during observation of the medication pass on 9/9/16, when Medication Nurse #1 pulled medication out of the blister packs with her hands prior to putting the medication in the cup. On 9/9/16, the Surveyor observed the medication pass at 8:15 A.M. The Surveyor observed Medication Nurse #1 administer medication to Non Sampled Resident #1 at 8:55 A.M. Non Sampled Resident #1’s medication included the cardiac medications [MEDICATION NAME] 25 milligrams (mg) and the medication [MEDICATION NAME] ([MEDICATION NAME]) 5 mg. The Surveyor observed Medication Nurse #1 pull the medications [MEDICATION NAME] and [MEDICATION NAME] out of the bubble pack with her hands and then place into the medication cup. The Surveyor intervened and Medication Nurse #1 said she tries not to touch the medications but they get stuck in the bubble packs. The Facility failed to ensure that proper infections control practice was maintained during the medication observation. Based on interviews and record review the facility failed to ensure timely process of a STAT(immediate) laboratory order for 1 Resident (#15) in a total sample of 24 residents. Resident #15 was admitted in 12/2015 with [DIAGNOSES REDACTED]. An interview was conducted with the spouse of Resident #15 on 9/12/16 at 9:10 A.M. The spouse stated she received a call from the facility staff in June at 3:00 A.M. stating Resident #3 was being sent to the hospital for an overdose of [MEDICATION NAME] (a cardiac medication used on patients with afib). Record review conducted on 9/13/16 revealed that a telephone order for a STAT [MEDICATION NAME] level was obtained for Resident #15 on 6/02/16 around 5:00 P.M. A nursing progress note from 6/02/16 indicated the laboratory technician was in the facility and drew the blood around 5:00 P.M. The nursing note further indicated that the nurse called the laboratory company four times during the shift and was informed the lab result was pending. The nursing progress note indicated at 11:00 P.M. the laboratory company informed the nurse that the blood specimen was never sent with the STAT driver. During an interview with the Director of Nursing (DON) on 9/13/16, she stated there was an initial investigation into the incident and the facility had contacted the laboratory company with a complaint but at the time there was already a termination date for the contract with the laboratory company and no further investigation was indicated. The DON was unable, at that time, to provide a timeline of the incident, who ordered the STAT lab, why it was ordered, or documentation demonstrating the laboratory services were responsible for the delay in results. On 9/14/16 at 07:20 A.M. the DON provided the surveyor with a complete investigation and timeline of events. The investigation indicated that on 6/02/16 the pharmacy consultant reviewed the medications for Resident #15, and was concerned regarding the dosage of [MEDICATION NAME] being administered to the resident and recommended a STAT [MEDICATION NAME] level. The nurse obtained a telephone order from the physician and contacted the laboratory company at 5:28 P.M. to request a STAT [MEDICATION NAME] level, per a conversation the DON had with the laboratory company on 9/13/16. At 6:02 P.M. the laboratory technician drew the residents blood. The DON provided a copy of the laboratory request form with the STAT box checked. At 2:18 A.M. (8 hours after the lab draw) on 6/03/16 the laboratory services faxed the results of the [MEDICATION NAME] level which was toxic at a level of 2.4 (normal range 0.8-2.0) to the facility. The facility nurse then obtained an order from the physician and sent Resident #15 to the emergency room . Based on records reviewed and interviews, for 1 of 3 sampled residents (Resident #2), the Facility failed to ensure that Resident #2, who was assessed at risk for elopement, received adequate supervision to prevent Resident #1 from eloping from the Facility. On 3/22/17 at 1:10 A.M., Resident #2 was found walking outside of the Facility by an Emergency Medical System (EMS) employee who alerted the Facility staff Resident #2 was outside. Although Resident #2 wore a wanderguard bracelet at the time of the elopement, staff did not hear the wanderguard alarm system activate, or notice Resident #2 leaving the Facility. The Facility’s Policy, titled Elopement of Resident, dated 6/26/13, indicated every effort will be made to identify elopement risk, reduce identified risk factors and attempt to prevent elopements to ensure resident safety and security of all residents. Resident #2’s [DIAGNOSES REDACTED]. Resident #2’s Care Plan for elopement, initiated 9/1/16, indicated Resident #2 was at risk for elopement due to packing belongings and trying to exit. Interventions included monitor for safety and wanderguard bracelet applied. Resident #2’s Elopement Risk Evaluation, dated 1/19/17, indicated Resident #2 had a history of [REDACTED]. An Incident/Accident Report, dated 3/22/17 at 1:10 A.M., indicated Resident #2 walked down the hall towards the office and was found in the parking lot and no alarms sounded when he/she left. The Investigation Narrative, undated, indicated on 3/22/17, at approximately 1:10 A.M., Resident #2, who was identified as an elopement risk, was wandering on the unit and was now not able to be located. The Investigation Narrative indicated at no time did the wanderguard alarm sound on the unit. The Investigation Narrative indicated at 1:35 A.M., an EMS employee alerted Facility staff Resident #2 was outside on the side of the building with his/her walker. The Investigation Narrative indicated Resident #2 was assisted back into the Facility and upon entering the Facility, the wanderguard alarm did sound at the front door as well as the elevator. The Investigation Narrative indicated Resident #2 exited the Facility unattended through the office doors which were open. A Nurse’s Progress Note, dated 3/22/17 at around 1:00 A.M., indicated Resident #2 was found in the parking lot by an EMS employee, no alarms sounded and Resident #2 stated he/she went down stairs through media room and rehab and used the sliding door to go out into the parking lot. The Surveyor interviewed the Director of Maintenance on 6/7/17 at 9:45 A.M. The Director of Maintenance said Resident #2 exited the Facility through the office doors on the second floor which were left unlocked and should have been locked for resident safety. The Surveyor interviewed Resident #2 on 6/7/17 at 10:30 A.M. Resident #2 was unable to recall the elopement incident. The Surveyor interviewed the Director of Nurses (DON) at 4:10 P.M. on 6/7/17. The DON said the double doors which lead to the offices and the door that leads to the stairs were not locked and Resident #2 exited the unit and Facility through those unlocked doors. The DON said the office doors are always locked by the housekeeping staff before they go home. The Surveyor interviewed Nurse #3 at 10:28 A.M. on 6/19/17. Nurse #3 said Resident #2 wandered throughout the second floor with his/her walker. At around 1:00 A.M. on 3/22/17, Nurse #3 said she witnessed Resident #3 walk by the nurses station and when Resident #3 did not return back by the nurses station, the staff went searching for him/her. Nurse #3 said when she checked the office doors, they were not locked and Resident #3 went through the office doors and the other door in the office which led to the stairs which was also unlocked. Nurse #3 said it was not nursing’s responsibility to check if the office doors were locked as they were administrative offices. Nurse #3 said she assumed the office doors were locked and did not think to check that they were locked. The Surveyor observed the Facility’s Exits key pad functioning and the wanderguard key pads and sensors for functioning throughout the day of the survey. A) A Facility wide audit was completed on 3/22/17 on all Resident’s who were assessed at risk for wandering, a care plan was in place and a wanderguard bracelet was on the resident as well as functioning. B) A Facility wide audit was completed in March 2017 on the wandering resident alarm/lock system and door security systems to ensure alarms are functioning properly. C) An Exit Seeking Audit was completed on 4/10/17 and 5/9/17 on all resident’s who exhibit exit seeking behavior. D) Wandering/Elopement drills were conducted on 3/29/17, 4/19/17 and 5/19/17 with opportunities for staff to participate in real-time drill on nursing units related to resident safety with question and answer session. E) An in-service education on Resident Wanderguard Systems Management was completed on 3/22/17 and 3/29/17 with all nursing staff. F) The Director of Nurses will be responsible for ensuring on-going audits and present the findings to the Quarterly Performance Improvement Committee monthly for 3 quarters. G) The Director of Maintenance will be responsible for ensuring on-going audits and present findings to the Monthly Safety Committee Meeting and Quarterly Performance Improvement Committee for 3 quarters. H) The Quarterly Performance Improvement Committee will continue to review findings with additional measures to be implemented as needed.